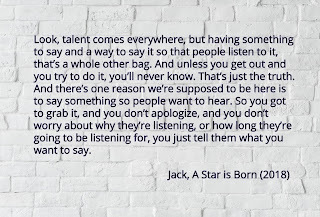 Like many movie goers, I was blown away by Bradley Cooper's rendition of A Star is Born. When the film ended the entire theatre was silent, my boyfriend and I wiping tears from our faces. It has been over a week since we watched and I am still thinking about it. Truthfully, I cannot recall a film that has moved me as much in recent time. 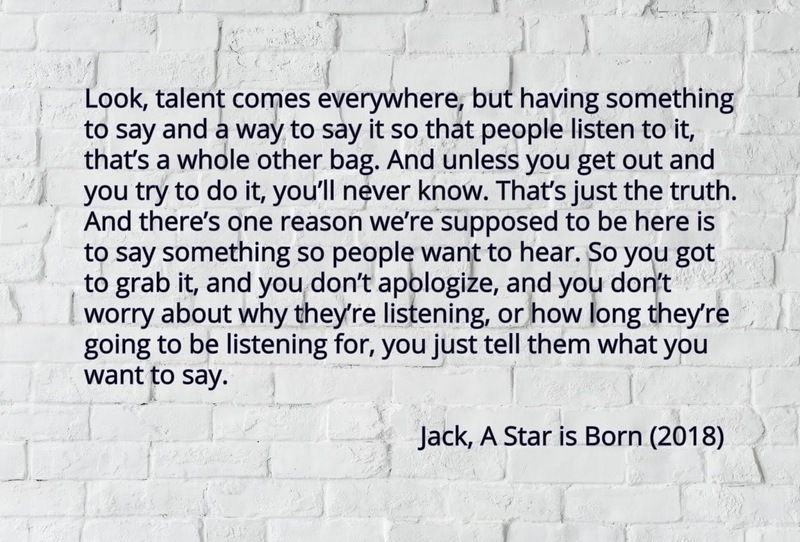 Without giving anything away I leave these words spoken by Jack to Ally. It has been almost two years since my last post. A lot happened during that time that dissuaded me from pursuing my passion project: working through a company bankruptcy, changing jobs, moving to a different part of town and moving in with my boyfriend and much more. Not all was stressful, great stuff too, I went to Paris for the first time (it is so gorge - the doors! ), living with my Significant Other, becoming an Aunt, but, I did not share, because well I thought I didn't have anything to say. Ultimately, loosing a sibling, suddenly, has me reassessing what I have been prioritizing over my interests and personal fulfillment. I never set out to be insta-famous nor the next Song of Style or Something Navy (whom I adore!). Then and now I simply want to share what I have to say. And, hopefully, it helps you out! Be it a recipe, a quote (yes I am super cheesy and love myself a good quote) or a stylish find, may my pursuit and evolving interests serve you.